On March 3rd Meat, The Future: How Cutting Meat Consumption Can Feed Billions More was presented to the Australian public during a book launch event in the Aerial Function Centre at the University of Technology, Sydney. The event was organized by Professor Stuart White and Dr Dana Cordell, who contributed a chapter to Meat, The Future on the dependence on rock phosphate for food production, the increasing scarcity of this resource and the key role of meat production in this process. In their chapter ‘Global Phosphorus Security – Diet Sustainability and Food for Thought’ in Meat, The Future: How Cutting Meat Consumption Can Feed Billions More, Professor White and Dr Cordell warn that the scarcity of the element phosphorus, which is one of the essential nutrients for agricultural production, has often received limited attention in the global discussion regarding food security. Phosphorus use has increased by a factor of 10 over the last 100 years, resulting in a dramatic increase in agricultural productivity. Phosphorus mined from phosphate rock is the most important means for meeting phosphorus needs. Good quality deposits of phosphate rock are limited, and are also highly geographically concentrated. Global phosphate rock mining is estimated to reach its peak sometime this century, while global phosphorus use is projected to increase, due to population growth, changes in diet, biofuel production and the increases in fertilizer application for phosphorus deficient and depleted soils. Increases in phosphorus demand will push resources to the limit and will ultimately lead to shortages following the exhaustion of the easily accessible resources. This will increase the risk of price rises and price volatility, and it will threaten food security. As the consumption of meat and diary products is a major factor in the increased phophorus use, it is therefore a key place to achieve reduced phosphorus consumption. As one of the solutions, the authors therefore urge a transition to more sustainable plant-based foods and reduced meat and diary intake. 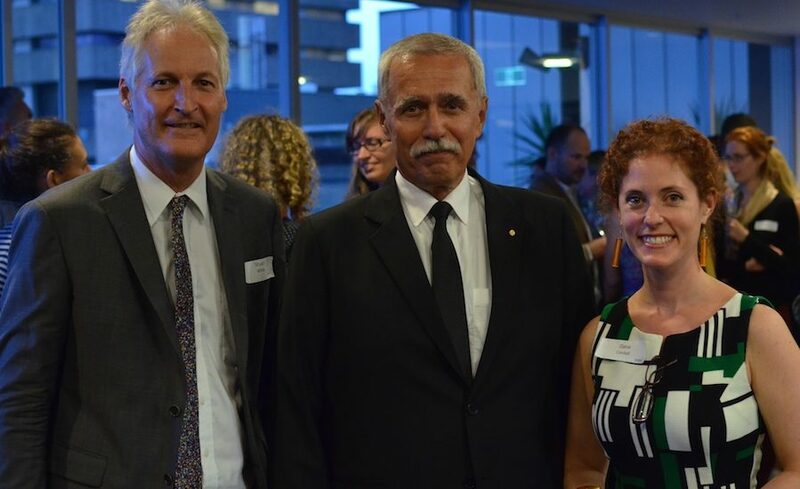 At the book launch event Professor White and Dr Cordell were joined by guest speakers Philip Wollen (Winsome Constance Kindness Trust), Tammy Fry Kelly (Fry’s Family Foods) and Emmanuel Giuffre (Voiceless). Read more in the UTS News and the follow up article Professor White wrote in The Conversation.